The Samsung Galaxy S4 is the Korean phone maker’s latest flagship device and started appearing in stores at the end of April 2013. The Galaxy S4 features a 5-inch full HD screen, NFC and LTE. It also includes Bluetooth 4.0 and an infrared LED, allowing it to be used as a universal remote control. The S4 is the first device to feature Mobeam, a light based communication technology that uses common light sources on a smartphone to send pulses of light directly to the sensor in laser-based POS scanners, mimicking the black-and-white sequencing of a standard bar code. The S4 comes with Visa’s payWave contactless payments applet preloaded into its embedded secure element. The device uses a BCM2079x NFC controller from Broadcom. 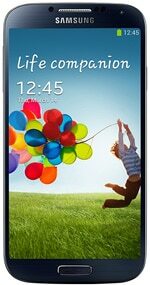 The Samsung Galaxy S4 was formally announced on 14 March 2013 and started shipping on 27 April. how i use the hce method on galaxy s4 in portugal? where i can download the aplication?